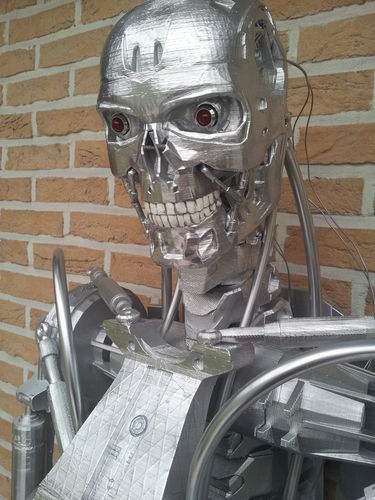 Real life terminator 1,8m tall ( with foot supports ). The terminator foto is printed in PLA and for the moment i've printed all the objects. 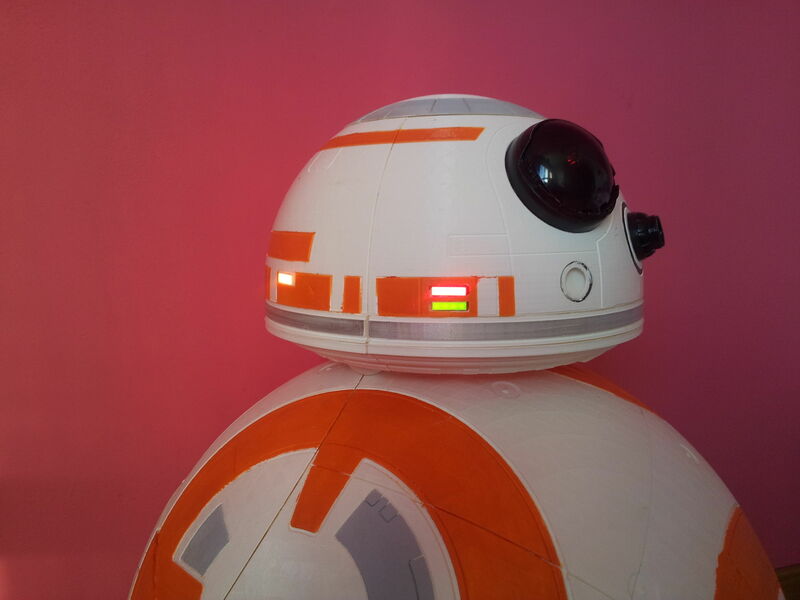 The eyes are filled with a real 9V red LED, real amazing. I would love to see a few examples of the files as a screenshot or so. Is this ready to print? Or do I need to "cut" the model in pieces and prepare for printing? How many rolls of filament did you use for this? !